As I mentioned in my previous post, I’ve been busy getting materials and equipment into the lab for the past few months. Now that I’ve got a little bit of the resources together, I’m pursing the next step: getting students started in the lab. This is the component of being a PI and a scientist that is, in my opinion, the most challenging relative to being a grad student and postdoc. As a grad student and as a postdoc, I spent most of my time working in lab on my own individual projects. I did have the good fortune to mentor and train several hardworking undergraduate students over the years. Even with that, however, I didn’t recruit those students myself. Recruiting was always the job of the lab’s PI. Now that I’m the PI, it falls to me to be the one to get researchers into the lab and to enable them to do their research. When and how do you recruit scientists to work in your lab? The first part of that question is easy: you recruit all the time, as soon as you can. The reality of the situation in academic science is that there are never enough resources to bring on all the people that you’d like to hire. Even at a medium size institution like Seton Hall, I’ve been inundated with emails from all around the world from people looking to pursue Post-Doctoral research. The problem I have is that I don’t have funding to support a Post-Doc on my own. I’m looking into opportunities to collaborate on grants that might open that avenue. For right now, however, I have the challenge of putting together the lab myself. I’m relying on my abilities to identify undergraduate and graduate students who can successfully launch our initial projects. To that end, as I said before, I think the best student-mentor relationships start with a clear understanding of everyone’s goals and how we want to achieve them. I use a tactic that I picked up from ACS a few years ago which is to give each of my students an Individual Development Plan. I call them Student Personal Strategic Plans (sp)2 plans (a little chemistry joke). I’ve attached a copy of it, feel free to copy and use it ( Student IDP ). My reasoning is that the students who are interested in science and see it as a fit to their future goals will fill it out. The ones who aren’t will likely fall by the wayside and never return it. This document helps me to identify what area of research best fits each individual student. For instance, many of my students are interested in going to med school. I’ve been trying to pair these students up with a project that will allow them to do cell-culture work and therapeutic drug development and potentially working with patient samples. Some students are interested in pure chemistry, so I’m trying to get them started on synthesis projects wherein they can also pick up some knowledge of analytical techniques. Having an understanding right from the start, I believe, is the best way to ensure that everyone is happy and productive. I haven’t been in the business long enough to know how to correct my mistakes. What should I do if a student is very frustrated and unhappy? I’m sure this is bound to happen at some point. My answer for your right now, and what I hope to do, is to put the student first and make sure that I can help them get to their career goals in whatever what I can. I’ll keep everyone posted on the outcomes of situations like that. Thanks for reading this short post. Next time I’ll be discussing another topic I think should be of interest: what to do on your winter break as the “new guy”…other than celebrate the holidays. I’ll see you all again then! I’m excited to be back with another update from the brand-new 3B lab! It’s been a little bit of a slow going at first here, but work is beginning to pick up in the lab. The key thing on my mind is not losing momentum and not losing focus as we begin to do our own independent work. Tempering this with a little bit of patience, however, is absolutely necessary as you’ll see. You might be wondering: where would you start in getting a biochemistry/biology research laboratory together? For me, it began before I even got into my new building. Recall back to our discussion on putting together an application packet for academic positions in an earlier post. Many of the institutions asked me to submit a budget, and this budget had to contain a list of what I felt I needed to have to get the lab up and running. After some negotiation I was able to develop a budget that my school was able to fund. Those funds were finally released to our lab in late August/September for the first year and we’ve started putting them to good use. Once you get money for your research and you have a budget set, you go about spending it. That’s honestly what I spent most of the month of September/October doing. There’s always a lead-time for things that you order no matter where you go. Here it’s pretty quick; it’s only about a week or so. One of the most fun things about being a new (and funded) professor is seeing the boxes come in like gifts on Christmas morning. We also had to spend an entire day cleaning out the lab, and putting new items on shelves. My advice to any new science ventures (academic/startup industry labs/garage labs(?)) would be: order everything you need at least a month ahead of when you expect to use it. Most times it’s much better to have something show up a week early rather than a week late. Also, don’t underestimate the difficulty that you might have and the time that you need to spend in just organizing everything. Keep a good stock list for the lab as well! I like to use online resources such as Quartzy but an excel spreadsheet on a shared Cloud drive works just as well. There’s no need to keep a list of everything in a paper form anymore, in my humble opinion. Finally, make sure to keep all the paper invoices in the off chance that the NIH comes to town and audits you! Just physically getting things into lab is the first hurdle I had to get over. Maybe I underestimated the task a little bit. 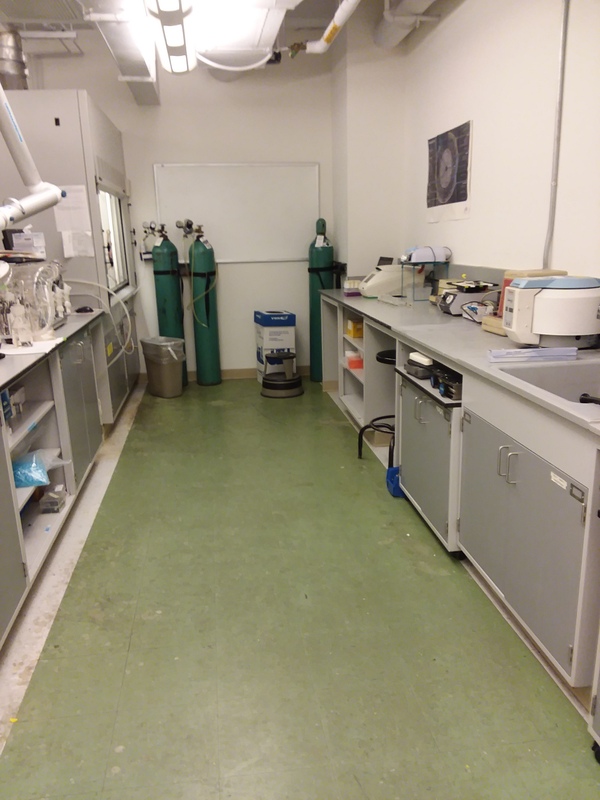 As you can see above, we’ve finally cleared out most of the old junk in the lab and put brand-new equipment on the tables. We’ve also cleared out some bench-space for people to do their work and cleaned out an old hood. I’m still waiting to set up the cell culture capabilities but that’ll be an entirely separate post (hopefully late in this semester or over the Winter Break). Next time I’ll talk a little bit about the new students in the lab and how I go about recruiting. Thanks for reading and have a good weekend! As a professor at a university, I’m expected to teach and advise students in classes that are offered within our Chemistry curriculum. This is so much more than just showing up with a power point slide every class period, talking for 2 hours, and then leaving without a trace. Not only were the things I learned in the PFFT (Preparing Future Faculty for Teaching) fellowship useful, they are necessary. The course I’m teaching this semester is called “CHEM1301 Elements of Bio- and Organic Chemistry for Nursing Students.” This class is a lot of work for the students. Essentially, they’re expected to learn the equivalent of two/three courses in one semester. This course would not be functional without building in formative assessments to every lecture. In this class, I’m using a formative assessment technique that I started experimenting with during the first class I taught, “Methods in Drug Discovery”. In that class and in CHEM1301, I have a pre-class question based on the information in the lecture. I ask the class to attempt to solve the pre-class question, and then we come back to it by the end of the class and I ask them to solve it again. I make sure to collect their papers before I give them the answer. Now why is that? Well, I want to see whether he lecture had an impact on their answers. I think unfortunately we’ve trained our students to always try to get the right answers no matter what that we’ve scared them into never admitting that they are confused or don’t understand a concept. At the beginning of each class I show them how everyone did in the previous pre-class question and if a large portion didn’t understand both before and after the lecture (“-/-“). I’ll know that I must take a step back and re-examine the material with them. Please take a look at the figures above. The first one, on the left, shows the results after we went over Chapter 1, which was all about measurements (length, volume, mass) and units (meters, liters, grams). What I can see here is that the vase majority of the class seems to understand the pre-class question (“+/+”) so they’re likely doing well with the material and I can continue on to the next lecture. Now, take a look at the most recent lecture on the right, however, when we’re starting to move away from discussions of general chemistry. Here I can see that the class struggled with the question both before and after the lecture. This lets me know that not only are they struggling but that I didn’t present the material in an effective manner. Now what I can do is go back and tailor the slides for the next class to cover the previous material in a, hopefully, more accessible way, and at the same time lead into the next topic. I feel like this is a very basic way to keep the class engaged and to let them know that I’m actively updating the courses according to their needs. In the future I hope to incorporate a more comprehensive pre-class questionnaire, rather than just one question, but there is just so much material and so little time in this course that it’s not feasible. That’s just one aspect of teaching a college course. So much to cover in so little time that I really need to monitor my students to make sure they’re not getting lost and to identify anyone who is struggling. Another aspect that I have some experience with from TA’ing at Hopkins is working with the Disability Support Services (DSS) at SHU. As the instructor, it falls on me to make sure that I can accommodate all my students and to make sure that the class is accessible to everyone. Again, I’ve done this before for classes at Hopkins but I wasn’t exactly sure how to go about doing this at Seton Hall. Also, I’m personally very familiar with how Individual Education Plans (IEPs) work in primary and secondary education. Now at the college level, however, we have our own internal office (DSS) that I can work with to help my students with any needs they may have. This can be anything from finding note-takers, to getting tutors together, to organizing external review sessions, to organizing external testing dates among other things. I’ve found that DSS has been extremely helpful in getting started with this process as I had no experience with it at this university. I would have been severely flustered without them. That’s the last thing I have time to write about this morning. The lack of time is what I’ll cover in my next post, hopefully in about two weeks so please look for updates! If you have any questions about teaching please feel free to comment. Thanks for reading. Apparently it shares the name with a J-rock band from the early 2000’s but I think it will be okay. I’ll be posting research highlights on that website and I’ll keep this one for my own personal musings on science. I’ve got a lot to chat about and I’ll be ready with a better update soon. For this post I want to transition back to a bit more topical discussion on health and drug discovery. One of the issues that I’ve been reading about recently, and that you might have been reading about, Is the idea of the “Right to Try” Act that has just been passed. This act of congress allows terminally ill patients to directly contact drug companies to receive drugs that have passed Phase I FDA clinical trials but do not have full FDA approval. What’s been weighing on my mind is the thought of whether or not this is a good thing for the patients that it hopes to help. There are two points that I think we need to discuss with this topic: whether or not there is a need and also whether or not it will work. It’s hard to see exactly what might happen, if anything, as a result of this act being passed but it brings up the topic of clinical care vs clinical trials which I think we should discuss. Firs let’s ask the question: “Is there a need for this act”. According to the “Right to Try” website sponsored by the Goldwater Institute: “Over 1 million Americans die from terminal illness each year” (1). That seems like a large number! Furthermore, the Goldwater Institute also claims: “Fewer than 3% of clinically ill patients gain access to investigational treatments through clinical trials”. Okay so what does this mean? What’s being said here is that, of that 1 million or so people, only about 30,000 are getting drugs? Does this mean that, without regulations, all 1 million people could get drugs? The answer to that is a yes and no. 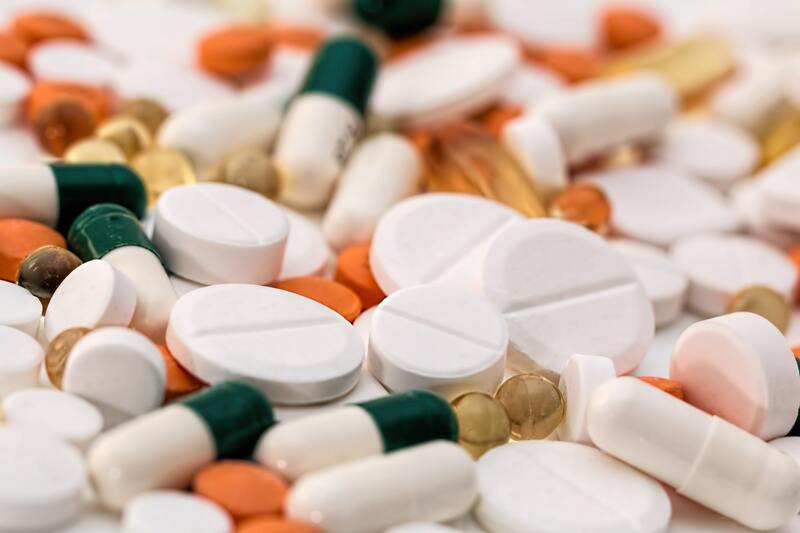 The writers for the website Biospace looked into the frequency of investigational drugs being given to patients through the current FDA “compassionate use” program. They noted that “the FDA receives about 1000 annual requests for compassionate use and approves about 99% of the time” (2). So while the raw numbers may be concerning (1 million people), the cases of terminally ill patients that can actually benefit from investigational drugs may actually be fairly low. Regardless of the numbers, could these drugs actually help people? We need to ask ourselves that question. To answer this we need to think about the fact that we’re taking drugs that have passed Phase 1 FDA clinical trials. Phase 1 clinical trials in humans means that the drugs will not actively kill or harm you at the doses that are potentially useful. A recent review paper from Borysowski et al in 2016 summarized the frequency rates of these drugs going all the way through clinical trials. The authors noted that from a compilation of other studies, “probability of a drug in clinical testing eventually being approved was as low as 11.83%” and furthermore that “lack of efficacy [accounted for] 35.3% of failures”. This means that 35% of the drugs in these studies, that got past Phase 1 trials, failed because they were not efficacious; they simply did not work. Still there is a non-zero chance of the drugs actually helping people. It’s difficult to find information related to patient outcomes related to compassionate use because drug companies are not required to publish that information. One could imagine however, that there are some cases in which patients have actually been cured by such drugs. So what’s the verdict on Right to Try legislation? I think that, as it’s written, the law makes sense and that there’s very little direct risk to patient’s health. Drugs that pass Phase 1 clinical trials should be mostly safe to use if not particularly effective. In my personal opinion the main problem comes from an increased blurring of the line between Clinical Care, and Clinical Research. These are two entirely different things. Clinical Care means that someone is proscribing you a treatment with the goal of improving your health. Clinical Research means that someone is proscribing you a treatment with the goal of getting a drug through the FDA approval process. This is why the FDA and review boards exist: to make sure that people realize what they are getting themselves into with a clinical trial. Now, with Right to Try, we’ve created a weird group that is not quite getting Clinical Care but also explicitly not involved in Clinical Research. This puts doctors in a bit of a bind as well. A doctor needs to consider the liability surrounding compassionate use. They need to think about whether or not they have enough of an understanding of an experimental drug to recommend it to a patient. This could lead to some grey areas concerning doctors with conflicts of interest such as being involved with the research itself. In another recent review from 2017, Miller et al make a good point in suggesting that “ Legislative efforts should also aim to expand patient access to clinical trials, which in some cases could alleviate the need for expanded access and compassionate use programs” (4). Perhaps this is a complementary way forward that we should consider as well. 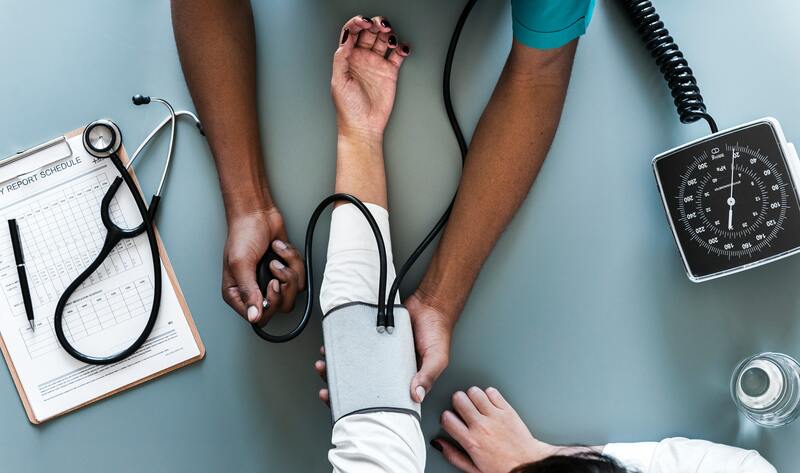 Expanding patient sign up programs with subsidies, building avenues for patient transport to studies, and increase openness about the efficacy of clinical trials as they are happening could all lead to the same or better outcomes as compassionate use. Overall, I personally find that this legislation probably provides both little risk but also little benefit. It’s a good thing that we’re considering the role of regulatory agencies in drug development. If nothing else we should keep the conversation going. Thanks again for reading. Again, I’ll be setting up the lab soon and meeting with new people. I start sharing those experiences very soon as well! Firstly, I apologize for not updating in a very long time. As I wrote about before, I’ve been on the hunt for a job in academia for the past year. I’m happy to let you know that I’ve accepted a tenure track assistant professor position in the Chemistry and Biochemistry Department at Seton Hall University. I feel extremely lucky to have this opportunity to become a Principal Investigator and teach and train young students to become scientists. This was the end of a lengthy journey that again was fortunately shorter than most for myself. I’d like to finally wrap up and share some of my experiences with the interview process and what went into my decision making. In my search I submitted almost four dozen applications over the past year to departments in everything from Biophysics to Bioengineering to Biochemistry. I felt that with my background and my goals I would fit well in a department that is focused on life sciences. I knew that I only wanted to do this if I felt that I’d have a good chance of being able to get grants and support students. I ended up interviewing at a few universities at both doctoral-granting institutions as well as undergraduate-only institutions. It was a tough decision, but I ultimately decided that to really be able to ensure support for my students and my work that I had to go to a doctoral-granting institute. Seton Hall is the ideal place for me to begin my career as an independent PI for a few reasons. Firstly, the university is expanding and developing a new medical school program. This opens the door to many clinical collaborations, something that is important to me because I’ve always wanted to do research that directly impacts people’s health. Second, the university is located very close to my current work at PHRI as well as close to some collaborators at NYU and Columbia University. I am therefore able to maintain the friendships that I’ve made while working as a postdoc and I’m able to provide even more opportunities to my students. One final reason that SHU works for me is the atmosphere and the people working in the department. There are so many places that you could get a job where you’re just filling a seat or a cubical or a desk. I didn’t feel that way when I interviewed at Seton Hall. It felt like the faculty and the students were genuinely interested in each other’s work and in helping each other develop their careers. I’m excited to be able to work with the department and I believe that there’s a lot of room to grow at this place. I’m so thankful for all of the support and encouragement I’ve received from my friends, family, and colleagues over the past few months. I’ll try to update this blog more frequently as time goes on with my experiences as a young assistant professor. In addition, I’ll be developing an official lab website with information on our projects and some of my student’s achievements. Thank you so much for reading and please keep a lookout for new posts! If you have any questions please feel free to ask away; I’d be more than happy to help others in their academic job search too! I’ve been taking some time off from updating to prepare for a few upcoming interviews. I’d like to mention briefly a few things about what’s expected of a scientist applying for a tenure-track faculty positions. I’m taking my idea of “Molecular Yoga” on the road and it’s going to influence the first part of my presentation: my “Job Talk”. Most positions expect you to give them a brief overview of your research interests in an initial Skype interview before they invite you to their campus. The Job Talk is where I get to tell my story and describe the research goals for my lab. It has to be both compelling and reasonable; finding the perfect balance is the challenge. I promise to elaborate more on some of the successes and failures of my job talks in the future once I have some experience! The second portion of the interview is usually a short teaching tutorial. I’ve been asked to prepare lectures for specific topics. I believe a key component here is to demonstrate my ability to 1) analyze a topic that is not directly related to my research, 2) develop learning goals centered on the key components of that topic, and 3) deliver a presentation that helps students achieve those learning goals. This is, in essence, my chance to prove that I am both a scientist and an educator. Again I hope to provide a breakdown of what i thought works and does not work as part of an interview in the future. Thank you all again for reading this quick update. I’ll be back soon with some more in-depth analysis.